Natan Lawrence was born into a Torah-observant Christian family at a Bible college his parents were attending nearly 60 years ago. He started a daily regimen of studying the Bible and praying at age seven, which he has continued to this day. Growing up on the family farm and nursery in rural Oregon, he pruned trees and shepherded sheep for 15 years. He became an Eagle Scout at age 17 and graduated high school with honors and was the top art student in his school. Natan studied at three universities (including a year in Switzerland), and trained to be a journalist completing a B.A. in French (and nearly a second B.A. in journalism). He wrote for several newspapers (including the Portland Oregonian), along with doing a stint as television presenter and a radio Bible teacher. At 25, Natan started a tree and plant care company that he operates to this day, which is the source of his income. He is an OSU Master Gardener, an ISA Certified Arborist, an ISA Tree Risk Assessment Qualified and a State of Oregon licensed commercial pesticide applicator. At age 30, he was baptized in the Holy Spirit and became a Bible teacher, working as a youth pastor. In his early thirties, he went into the mainstream Christian church for several years where he ministered in several Spirit-filled Sunday churches. During this time, he volunteered as a chapel leader and Bible teacher at Teen Challenge, as a prayer partner on the local TBN television station, as an urban street-preaching missionary, as a preaching evangelist to the local Mexican migrant camps, as a prison chaplain, and later as an ordained evangelist in a major Protestant denominational church. In his late thirties, Natan left Sunday Christianity and returned to the Torah roots of his earlier life, but this time walking in more love, grace and in the power of the Spirit of Elohim. 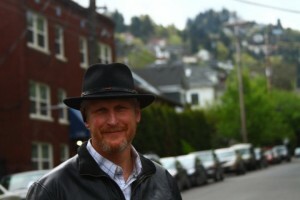 At age 40, Natan and his wife, Sandi, started a Messianic, Hebrew roots of the Christian faith fellowship (Congregation Elim) in Portland, Oregon, which, as an ordained pastor, he led until he retired from that position in the fall of 2016. He now helps to lead a home fellowship and speaks occasionally to local groups. Nathan and Sandi also pioneered Sukkot NW in Oregon in 2002 and continued that ministry until the fall of 2016 as an annual Sukkot (Feast of Tabernacles) gathering place. Natan remains a biblical researcher and has become a prolific writer. He and Sandi have published many articles pertaining to the Hebrew roots of our faith, which they make available for free on their ministry website (hoshanarabbah.org). His writings include two gospel-centered Torah study guides (an adult guide and youth version entitled “Torah Explorers”), which are distributed worldwide each week to thousands of families. He is currently working on a commentary on the whole Bible that is approaching 2000 pages in length. He speaks French and reads and writes biblical Hebrew and Koine Greek. He regularly advises, and disciples lay-people, as well as congregational and ministry leaders who contact him from around the world. Occasionally, he has traveled and spoken at conferences. Natan identifies with two biblical prophets who were both men of the earth, and who stood for Torah righteousness. The first is John the Baptist who was a voice crying in the wilderness to help prepare the way for Messiah Yeshua’s coming through repentance and obedience. The second is Amos the prophet who was also an outdoorsman, shepherd and an arborist, and who YHVH raised up to confront the nation of Israel and its religious leaders, and to challenge them to fear Elohim and to walk in righteousness—activities which are dear to Natan’s heart. He is an artist, an avid gardener, mountain biker, backpacker, fisherman and swimmer and is a high alpine mountain climber and a downhill skier for years. Once, when he was much younger and somewhat foolish, he nearly killed himself skiing off from just below the summit of Oregon’s tallest mountain—Mt. Hood (11,250 feet). He also loves classical music, and while playing the classical guitar, sings love songs to Yeshua. Natan is still married to his first and only wife, Sandi, and together they have four children. Without Sandi, there would be no Hoshana Rabbah, Elim, Sukkot NW, Torah Study Guides or this blog. Natan remains grateful to YHVH Elohim for his gift of Sandi. His number one passion is to know and to serve Yeshua the Messiah (Jesus Christ) our Redeemer and Master, and to become like him by loving him and keeping his Torah commandments and helping to regather to Yeshua the lost sheep of the house of Israel. His greatest desire in life next to spending eternity with YHVH-Yeshua his Messiah is to help to be a catalyst for spiritual revival on this earth. That is, to see the light of YHVH’s truth transformationally pierce the darkness of men’s lives causing a mighty river of life from heaven to flow on this earth bringing with it love, joy, peace and the abundant spiritual life that knowing Yeshua the Messiah and loving him by keeping his commandments. My next greatest life ambition is to see as many lukewarm modern-day Laodiceans disciples of Yeshua awake from their spiritual slumber and to fall in love with Yeshua the Messiah and to love and serve him for the rest of their lives.